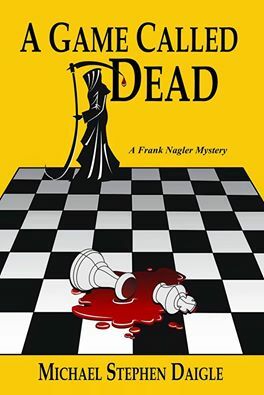 In the first drafts of my Frank Nagler mystery, “A Game Called Dead,” college administrator Harriet Waddley-Jones was a self-centered critic of Nagler’s police efforts whose sole angle it seemed was to gain publicity for herself. Gladly, and importantly, in rewrites, she changed. She is one of the story’s important and quiet heroes. Waddley-Jones scanned the faces, some anxious, some smiling bravely; others like the administrators standing with folded arms, grim; athletes in the back corner, laughing. “Thank you for coming,” she began. “I don’t want to dwell on the obvious, but these are currently hard, dangerous times. Two murders on our campus, a city facing terrorism – yes, it is terrorism when stores and community centers are being destroyed – and a police officer who escaped from an attempt on his life. “Cowards hide behind such acts. But cowards fail, as will this one. “But nearly twenty years ago on this campus, such cowards were in charge. When faced with allegations of rampant crimes at this school, they could not admit they fostered and even participated in the crimes. They drove the victims away and rewarded the criminals. Reports were made and hidden. Even a lawsuit could not bring these crimes into the open. She paused and breathed deeply. Some of the students, trapped in their seats by the size of the crowd were texting more than paying attention. The administrators stared at the floor or cast sideways glances at one another. “You may have read a news story about the old lawsuit, and maybe you doubted its veracity,” she began again. “Don’t. It all happened, and perhaps more that eluded the investigators. But I know it was true.” She paused, having planned the impact, having waited for seventeen years, nearly half her life, to declare her identity. Harriet Waddley-Jones dipped her head, closed her eyes and gripped the sides of the podium. She was shaking, crying, trying to hold her emotions in check but wanting them to soar; wanting the words she had just spoken to grab ahold of the pain and guilt and wrench it from her soul. She wanted to be weightless, but instead was anchored. Free me, she thought. Please free me. Some in the room gasped; some stood and applauded. Many sat in surprise, stunned a moment before they began to furiously text out the message. The administrators unfolded their arms, and quietly begging pardon, sidestepped out of the rear door, where Jimmy Dawson caught Harriet’s eye before he pursued them for a comment. The crowd stirred by her challenge. In that moment she chose to talk about the one thing she had never discussed. It is time to be free if this. Dawson slipped into the room just before she started. Behind him Frank Nagler emerged. Wordlessly, Dawson nodded, pursed his lips and then smiled briefly. “She’s about to burn a hole in the universe,” Dawson said. She glared at the athlete who had challenged her. Her voice grew stronger. Her voice softened with fear and confusion and became childlike, and her eyes filled with pain as if she was shedding the years between and taking on the persona of the woman she was at nineteen. Waddley-Jones stared at the floor and when she looked up her eyes were fierce and her face hard. In a voice like a hiss: “Everything I was died at that moment in the dirty little hotel room. Ev-er-y-thing,” cutting the world into four parts. “But what was worse, everything that I wanted to be also died. I’ve lived my life as a lie because I could not forget when I signed the agreement with this college when I was twenty that they took away my right to speak. Well, I’m taking it back. Can you give that all back to me, Mister Critic? All the love I could have given, but didn’t trust enough to give; all the love that others felt for me and I could not receive? Can you give me back all the time I have hated myself, all the hours I felt the shame of that moment like a rash that would not heal? All the time I’ve spend locked in this emotionless box; all those things I have missed? Can you give them back to me? Never,” she said bitterly. “And then this broken-hearted city, scarred by events in the past it cannot put to rest. And today someone is using those events to terrorize. Using those events for revenge, because it is the only emotion they can feel. I say to that person, please stop. There is time to heal. That is what I say to Ironton. Come together. “Free your soul as I have freed mine. Stop, I say. For the love…” she paused, “Just for love. Please stop.” Her voice was a whisper. This entry was posted in Fiction, Hot in Hunterdon; Georjean Trinkle, Imzadi Publishing LLC, Michael Stephen Daigle, www.michaelstephendaigle.com and tagged "A Game Called Dead", "The Swamps of Jersey" Imzadi Publishing, Fiction. Bookmark the permalink.